Running an eCommerce business without performing SEO turns up in loosing customers and online sales for your product or services. Once your site gets optimized in a right way then it gets easily crawled by Google and other search engines. SEO methods are gaining much popularity in designing effective and functional eCommerce websites. If you are an eCommerce store owner, this blog is definitely going to help you succeed with the below mentioned SEO practices. So, let’s start with the basics of SEO. SEO (Search Engine Optimization) is a technique of optimizing your landing page or website for Google’s search engine. It is the process of optimizing your website in such a way that the search engines gives you higher ranking for chosen keywords. There are loads of different sections in SEO but there’s basically two different groups, i.e- On-page SEO and Off Page SEO. On-Page SEO- It is basically your keyword density, tags and H1, H2 and H3 titles. Off Page SEO- It is all about creating backlinks. SEO is the most effective affordable online marketing method for most small to mid sized businesses available today. What can SEO do for your website? SEO helps to rank your website on the map of Internet and will make your website visible to all search engines that matter. For backlinking and online reputation, you need to have SEO services for your website. For increasing traffic- The amount of traffic you will be getting from Search Engine Optimization (SEO) services depends on number of things as targeted keywords, quality of website and many others. Do Some Keyword Research- Keyword research for SEO on blogs and articles is an important key factor for bringing large amount of free traffic. For researching well on keywords, the first step is to identify your target market. There are many keywords out there, with different levels of competition. The goal is to pick up a keyword related to your niche, with low amount of competition and a decent number of searches. After completing keyword research your next step should be to write content and optimize it for search engines. Optimize Your Title Tags- Optimizing title tags is really important as it provides better visibility for your website. Title tag usually appears first on the result page of search engines and is followed by a concise description of web content where keywords are found. Before optimizing title tags, the most important thing to work on is having ideal keywords such as what keyword phrase people usually type to be able to come to your site. Generating right keyword phrase is important both in content article writing and creating tags. Keep in mind to avoid loading your title tag with keywords, especially with repeated ones, as this might confuse the searchers and will create no effect to the SEO process. You must also avoid using the same tags for all pages of your website as it loses its purpose of describing the specific content of each page of your site. Optimizing Your Content- Your content must have keyword in title. It’s best if keyword shows up near the beginning of the title and title should be at least 3 words long but not longer than 6- 7 words. Break your article or blog post up with headings and include keywords into it. Next, your content should have 2-4% keyword presence however, don’t be tempted to overload it with keywords. Another important thing to consider is the use of headings and sub-headings as it creates a flow to which search engines can match up your content to searches. Your content should be authentic and rich in information. Informative content persuades a visitor instantly and then you can guide him to your website. Adding Meta Tags- Meta description tags are another important factors for on page SEO. Meta tag information is extremely important when you want search engines to present your webpage on search engine results. A Meta Tag is added by using HTML language. You should add keywords in Meta tag which define your website. Most search engines still give high importance to Meta tag and use it as a determining factor for ranking your website. You should also give proper text and description of page in a Meta Tag. The description provided in the Meta tag is used by search engines. Try having a Meta Tag for each webpage. Each webpage has different keywords and therefore you need to separately analyze the keywords and describe them in Meta tag. This helps you optimize each and every section of your website for appropriate keyword. This is all about the basics of SEO. There is much more to learn, but we will get into that in the next coming days. 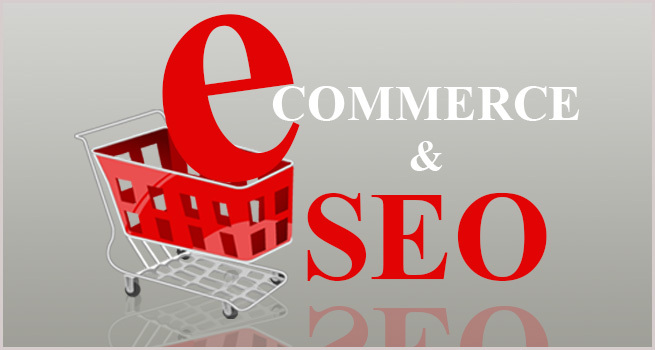 Keep on reading our blog section- “How To Build an Ecommerce Business- Series” to know more about SEO metrics and its role in eCommerce market.